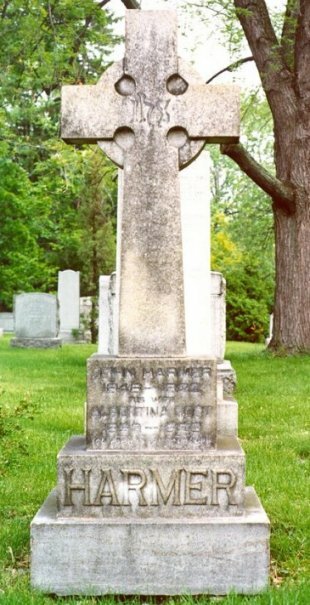 Harmer family plot in the Mount Pleasant Cemetery, Toronto, Ontario, Canada. Photo and text by Dr. Natalie Riegler. For 24 years, Bertha Harmer made an impact on the nursing profession in America, Canada and internationally. She was born in Port Hope, Ontario, east of Toronto, where her father was a carpenter with a railway company. After graduating from high school, Bertha worked as a cashier and accountant in a Toronto company, which happened to be owned by the chairman of the Toronto General Hospital's board of trustees. At the age of 30, Harmer decided to train as a nurse, and in 1913, graduated as head of her class at the Toronto General Hospital, School of Nursing. There, she gained further experience as a head nurse, supervisor and instructor. In 1915, Harmer went to Teachers College in New York City where she obtained a bachelor degree in Administration and Teaching. During the next twelve years, she taught at the Vassar Training Camp, and at the New York St. Luke's Hospital School of Nursing. By 1922, her book, which would make her internationally famous, was published. The Textbook of the Principles and Practices of Nursing was described as "the best textbook ever written on nursing." The next four years, 1923-1927, she was Assistant Professor at Yale University School of Nursing, helping the Dean, Dr. Annie Goodrich, to organize the school. At the same time, she was First Assistant in Administration at the New Haven Hospital. In 1926, Harmer published a second book, Methods and Principles of Teaching the Practice of Nursing. Described as retiring, unaggressive, modest, a perfectionist, mercilessly self-critical, and having a dynamic mind, Harmer became ill and in 1927 had to give up teaching. 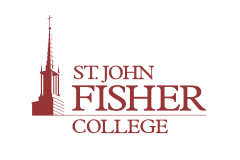 But instead of taking the recommended rest, she went to Teachers College for a Master of Arts degree. By 1928, Harmer had returned to Canada as the Director of the School for Graduate Nurses at McGill University in Montreal, and published the 2nd edition of Textbook of the Principles and Practices of Nursing. Here she remained, continuing to enjoy her books, art and theatre while struggling through a very difficult economic and political period, as the school battled to stay open. Once again her health failed, and by 1933 she was virtually bedridden. In 1934, she resigned from McGill and moved to her sister's home in Toronto, where she completed a third revision of the Textbook of the Principles and Practices of Nursing. Close up of Bertha Harmer grave marker, Mt Pleasant Cemetery, Toronto. Photo by Dr. Natalie Riegler. Canadian Census 1881, 1891 and 1901. Last Will and Testament 1934. "Noted Nurse Much Mourned by Profession." The Globe (Toronto), 15 December 1934, p.10. Bliss, Michael. (1978). A Canadian Millionaire: The Life and Business Times of Sir Joseph Flavelle. Bart. 1858-1939 Toronto: Macmillan of Canada, 121, 107. Herrmann, Eleanor Krohn. 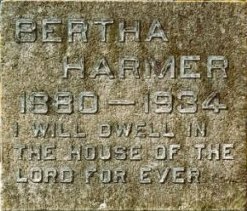 "Bertha Harmer". In American Nursing: A Biographical Dictionary, ed. Vern Bullough et al (New York: Garland Publishing, 1988), 164-166. Tunis, Barbara. (1966). In Caps and Gowns: The Story of the School for Graduate Nurses McGill University 1920-1964. Montreal: McGill University Press, 47-51.